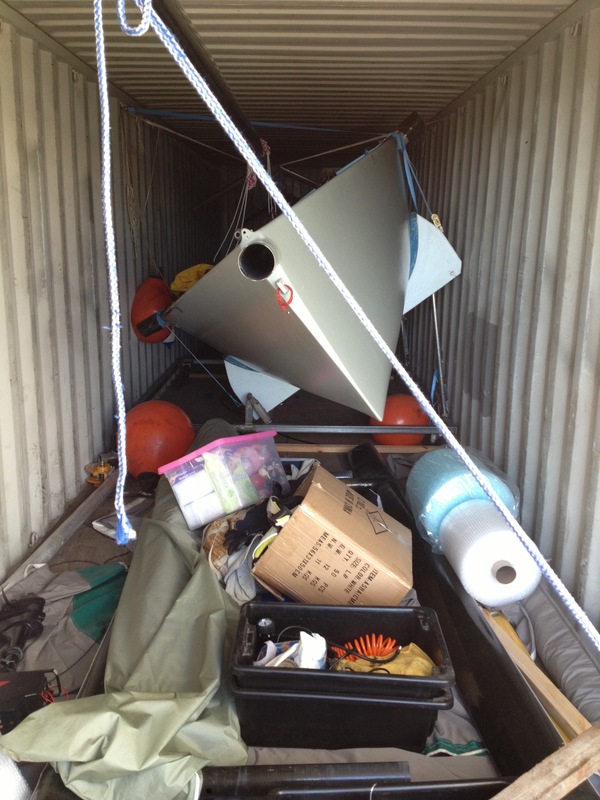 Need to Crank out of the container for the Australian Sports Boat Association national titles at Freemantle Sailing Club. 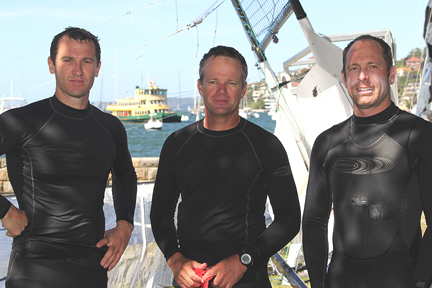 Chris Nicholson, Mike McKensey and Ricky Bridge won the Australian 18 Footers League’s 3-Buoys Challenge in Mojo Wine after finishing second in today’s final race of the series on Sydney Harbour. Mojo Wine crew in complete control. Frank Quealey. It was a great effort by the trio who were consistent, from the back mark, throughout the entire series. With the best racing conditions this season, the fleet gave a magnificent spectacle for the ferry patrons in the 15-20 knot North-Easterly wind. 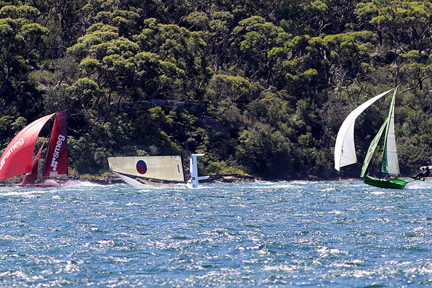 Close racing to the windward mark. Frank Quealey. 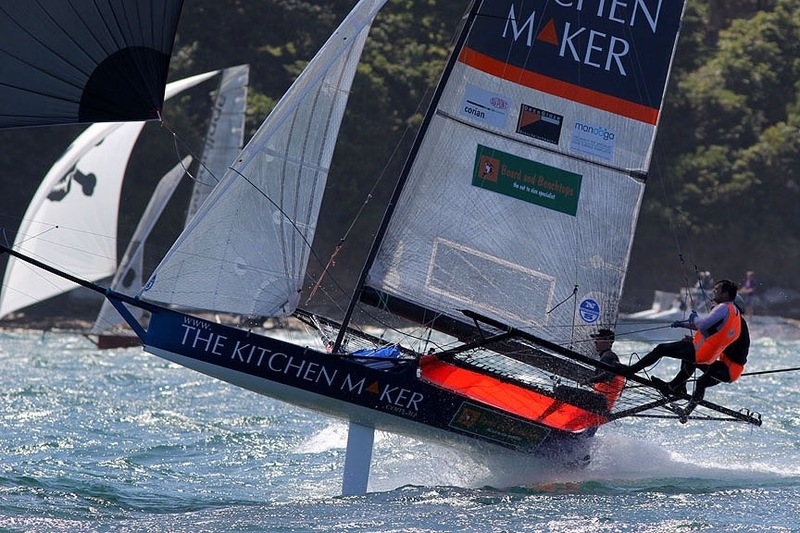 Gotta Love It 7 (Seve Jarvin, Sam Newton and John Winning Jr.) finally took line honours by 1m45s from Mojo Wine, with last week’s winner Coopers 62-Rag & Famish Hotel (Jack Macartney, Mark Kennedy and Peter Harris) another 31s back in third place. Race winner gotta love it 7 thrills the crowds. Frank Quealey. Pure Blonde (Nick Daly) was fourth, followed by Smeg (Nick Press) and Fisher & Paykel (Grant Rollerson). 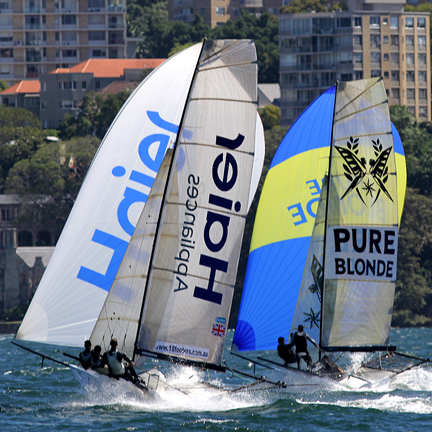 Pure Blonde and Haier in tight racing down the first spinnaker run. Frank Quealey. Final points in the series were: Mojo Wine 25, Yandoo (John Winning 31, Rabbitohs-Kenwood (Brett Van Munster) 33, Smeg 34, Fisher & Paykel 36 and Thurlow Fisher Lawyers (Michael Coxon) 45. Series winning mojo wine crew Mike McKensey, Chris Nicholson, Ricky Bridge. Frank Quealey photo. 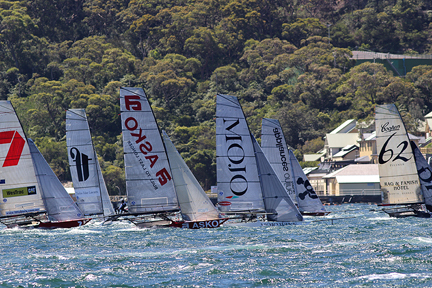 Conditions took a toll on the fleet with only 10 of the 18 starters completing the course. Go Yandoo. Yandoo heads south on the spinnaker run. Frank Quealey photo. The race to the first windward mark was close with only a few secs. separating the leading six teams. Appliancesonline.com.au (Micah Lane) showed her best form so far to lead from Coopers 62-Rag & Famish Hotel, with De’Longhi-Rabbitohs (Simon Nearn) third. First lap leader appliancesonline.com.au Frank Quealey photo. The first spinnaker run was all action as Appliancesonline led the charge back to the bottom mark off Clarke Island with Gotta Love It 7, Thurlow Fisher Lawyers, Smeg, Fisher & Paykel, Coopers-Rag and Mojo Wine in hot pursuit. 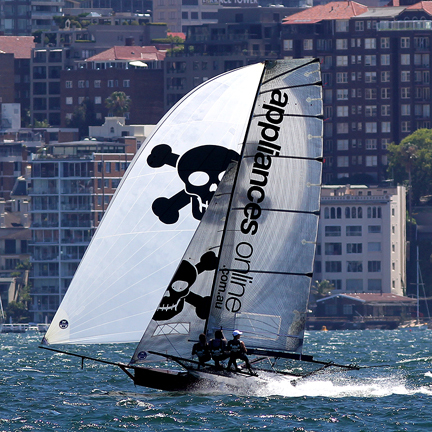 Soon after turning for the second windward beat, the race took a dramatic turn as both Appliancesonline and Thurlow Fisher Lawyers were forced to retire with gear failures. Gotta Love It 7 charged to the lead and it looked as though it may be all over for the challengers. 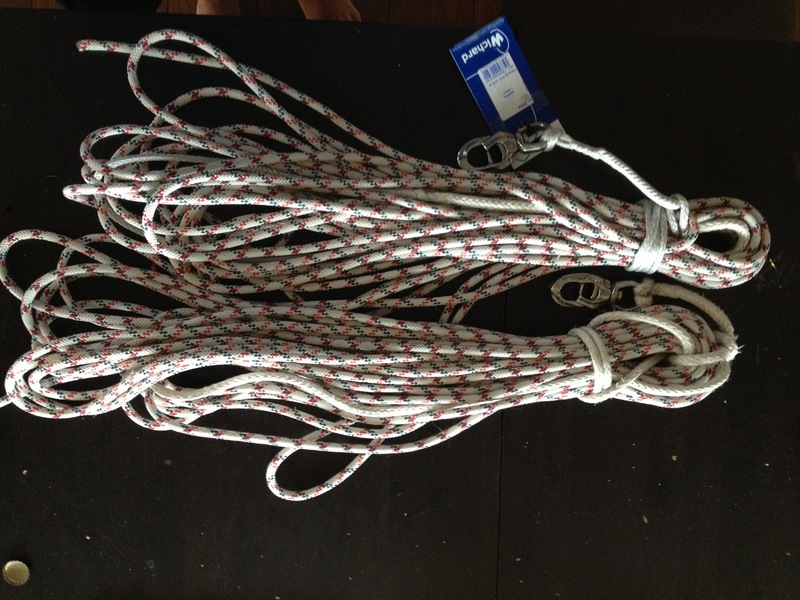 Gotta Love It 7 crew power upwind. Frank Quealey photo. 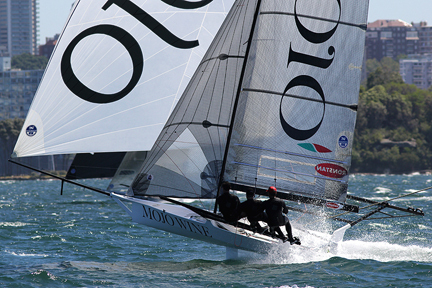 7 continued to hold a 25s margin over Smeg at the second set of windward marks with Sydney City Marine (David Witt) another 30s back in third place. Coopers-Rag & Famish was also close behind in fourth place. Another spectacular spinnaker run followed as Smeg began to pressure Gotta Love It 7. A slight spinnaker mishap on 7 allowed Smeg to take a narrow lead for the first time. With an advantage set to come at the final windward buoys, Smeg was in a particularly strong position to take the race honours. An unexpected swim by the Smeg crew on the final windward leg allowed Gotta Love It 7 to regain the lead which the team held until the finish. 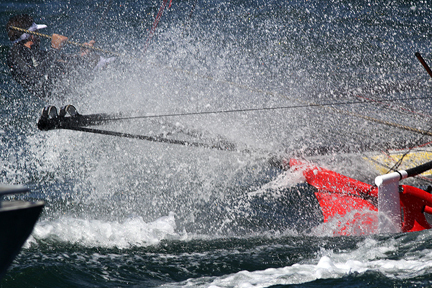 The red machine was driven hard by her crew down the final spinnaker run past the cheering crowd on the spectator ferry. It was definitely the best race of the season and was a mouth watering glimpse into what we are likely to see during the championship end of the season. More photos will be published on www.18footers.com.au. The club’s regular spectator ferry will follow next Sunday’s Race 2 of the NSW Championship, leaving Double Bay Wharf at 2.15pm. It will be the club’s final race before the break over Christmas and the New Year. 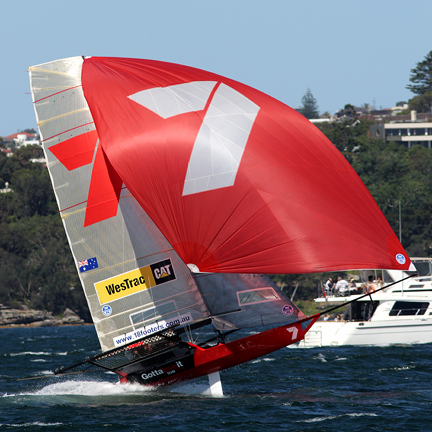 Racing will resume with Race 1 of the Australian Championship on Sunday 12 January. Good fun sailing in the Lincoln Crowne 12 Foot Skiff NSW Championship, Heat 4, conducted by the Lane Cove 12 Foot Sailing Skiff Club. 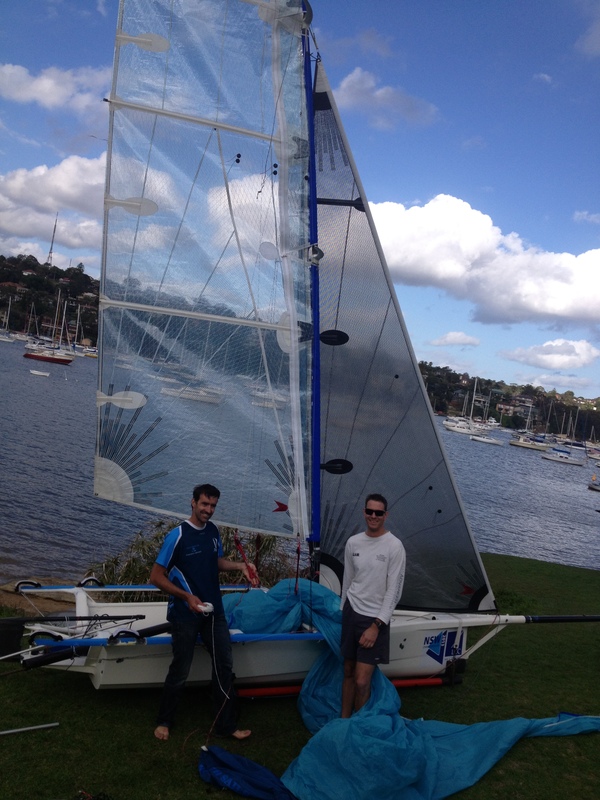 Luckily got the little rig on to introduce Adrienne to my style of 12 foot skiff sailing. 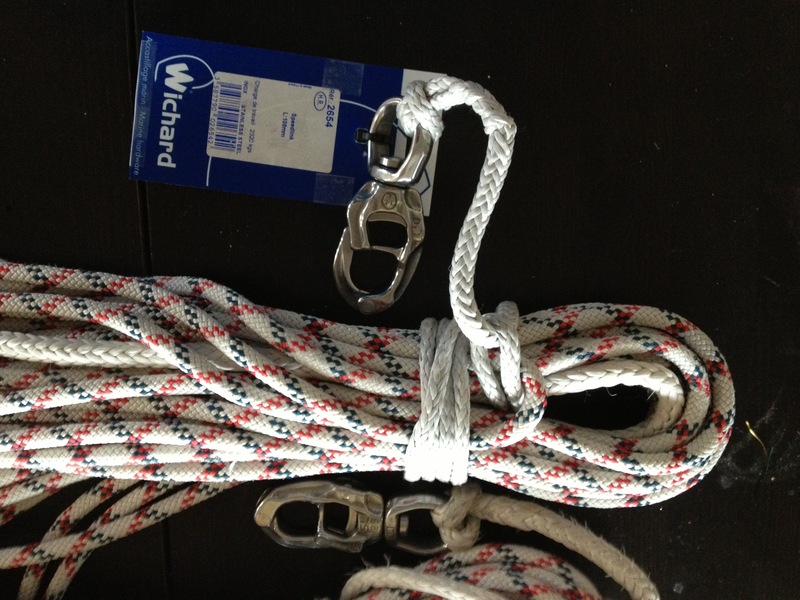 She looked a little bit like I was hogging all the toys, not even giving her the mainsheet going into the tacks and I was not sure she believed me when I said she should stay on the wire all the time, spinnaker sets, drops, always. A nice start and first work set us up well for my strategic plan, which I suggested later in the race, a very loose cover on the other skiff she sails. Humbug was pretty crowded. The finish was almost pretty busy. Just lost out to Skoll in the last little bit and somehow picked up Vantage Real Estate at the last moment. Thanks to the Queensland 12 footer sailors who came down with Tank Girl (sporting Allwood Sails) and Ghetto Sled for the race and out for dinner and a good chat afterwards. And in the race results, Garde, Gemmell Sails and Lincoln Crowne, took the scratch placings. 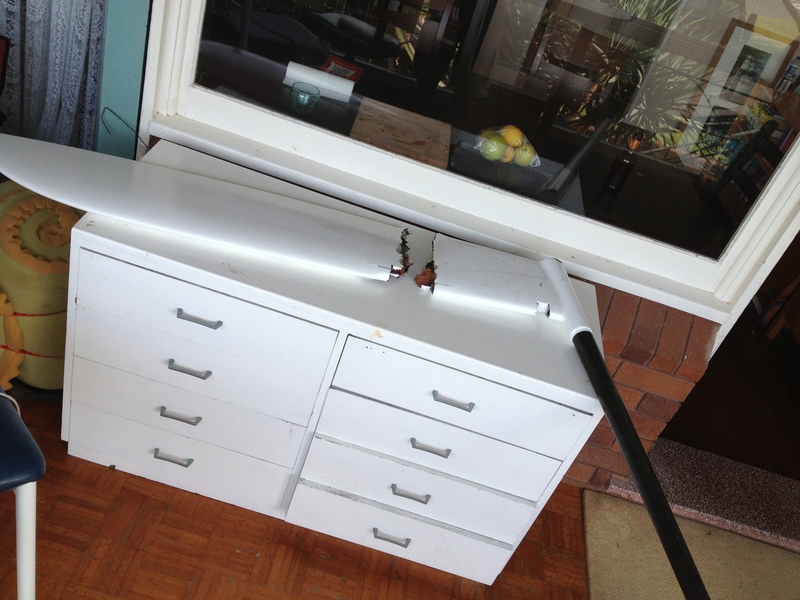 And Hey Charger, CST Composites and www.skiff.org.au the handicap placings. More details on the race results sheet.